Is your trip to the nail salon putting you at risk for skin cancer? You probably already know that you need to protect your body from overexposure to the sun's ultraviolet (UV) rays. Most of the time, we associated UV rays with spending too much time in the sun or spending time on a tanning bed. 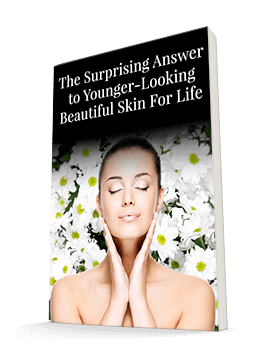 But you may also be making changes to your beauty routine that expose you to unwanted UV rays. Fortunately, there's an easy way to avoid them — just let your nail polish dry on its own! 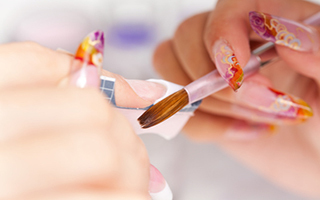 Most people see manicures and nail polish as beauty enhancements. But if you use a UV light to dry your nails, you are doing just the opposite. Not only can these lights damage and age your skin, they can even increase your risk of skin cancer. Different lamps give off different amounts of radiation. And, of course, your risk increases the longer you stay under them. But they all still give off some radiation, so they all carry a risk. And since there are safer alternatives to the lamps, it's best to skip them altogether. Gel manicures are becoming increasingly popular since they are longer-lasting than regular polish. But these polishes typically require the use of UV light to dry. If you must get a gel manicure, ask your manicurist for UV protective covers to slide your hands or feet into before using the lamp. Or ask for UV sunscreen. A safer alternative is new Vinylux nail polish. Like gel, it has a specific top coat, but you don't need a UV light to dry it. It doesn't last quite as long. But you won't be putting your skin at risk just to stretch out your manicure or pedicure a few extra days. Keeping your skin protected from the sun is essential to defending yourself from skin cancer and premature aging. Now don't let your vigilance go to waste at the nail salon.